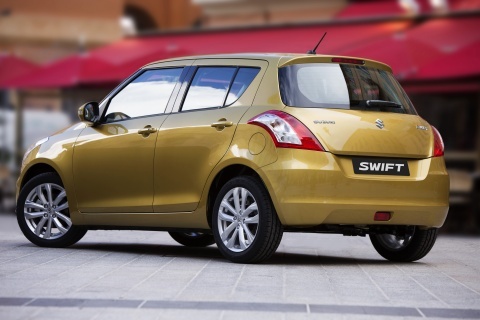 Others have come and gone but if there is one hatchback that has stood the ground despite extremely heated competition, that, unanimously has to be the Swift. Swift is Maruti’s largest selling premium hatchback in the country and has been a hot favorite of the masses in this segment since 2005, the year when it was introduced in India. As can be seen in the table above, Maruti launched the Swift in India in May 2005 and the all-new Swift was launched 6 years later in August 2011. What has remained consistent is the growth in the demand of the car. 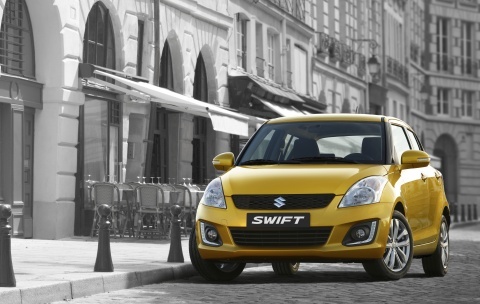 And 3 years later, Maruti will launch a facelifted Swift in India next year in 2014, reports Financial Express. Though we do not have the details on the time frame of the year Maruti targeting but next year being the Auto Expo year, we can expect Maruti to shed some more light on this or completely unveil the car. A few months back, Suzuki unveiled the Swift facelift internationally which carried very minor cosmetic touch-ups like DRL strips and…… well nothing really to make a specific mention! Interestingly, a suspicious test mule of Swift has been caught somewhere in India very recently which sported keyless entry, cruise control and push button start. If these two reports can be related, we can expect that Maruti may make the Swift facelift more feature rich in order to make it more appealing against the rising competition. Though there are reports that Maruti may introduce their own 1.2L internally developed diesel engine, but we do not really think it will find a place in the Swift facelift. According to reports, Maruti will launch the All-New Swift with a comprehensive makeover sometime in 2017, exactly after 6 years of the last ‘All-New’ model. It is then, we can expect the introduction of Maruti’s own diesel engines. Before that, we really do not feel it is possible! So, will the history repeat itself and Swift will break more success records or will it succumb to the growing competition, read new i20 and others.